Happy Saturday! Michelle here with some Copic Airbrush inspiration to share with you. 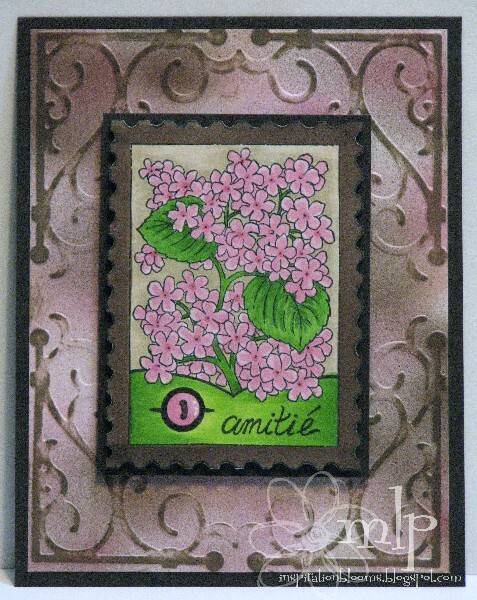 For my first card I used my airbrush to create the striped pattern on my X-Press IT Blending Cardstock. Next I ran my panel through the Xyron machine and added some transluscent glitter.﻿ I colored my image, Stampavie's Stamp of Friendship with Copic Markers. For my second card I created an airbrushed background with three Copic colors, a dark brown, medium brown and rose color. Then I ran the panel through the Tiffany Cuttlebug Embossing Folder before distressing the embossing with Distress Ink in Frayed Burlap. The image is colored in Copic markers. 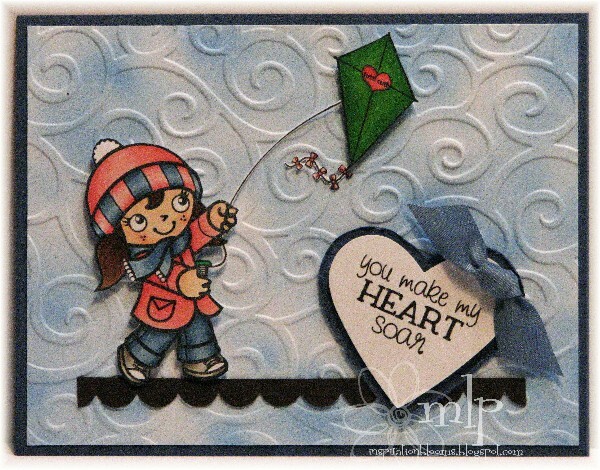 And I'm leaving you today with a clean and simple card featuring the adorable Tutti Cuti Mini Flying High image. I colored and fussy cut my image and mounted it over a background that I randomly colored with my airbrush and one blue Copic to resemble clouds. My finishing touch was to add a bit of Cuttlebugged wind swirls. 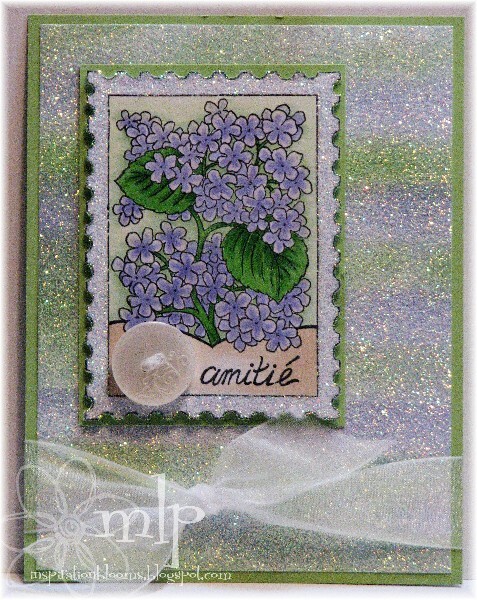 I hope you join in our challenge and share your airbrushed backgrounds! So cute Michelle!! How in the world did you cut that kite string? ?